Please join us for a fun-filled night with beats by DJ D Murray. Beat the cover and sign up on our guest list by clicking this link here: GUEST LIST. 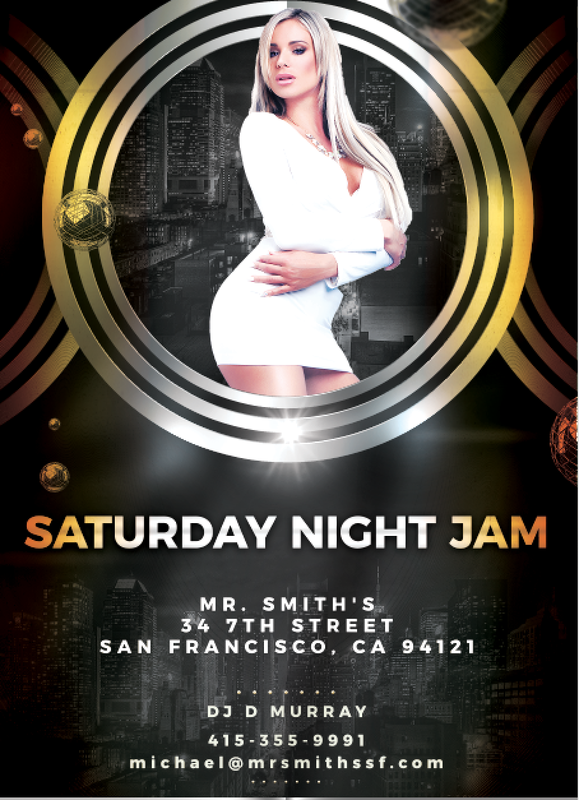 For inquiries regarding bottle service, VIP room bookings or other info please contact Michael@mrsmithssf.com.